Jake Hunter, special agent for the FBI, stumbles onto a diabolical plot to enslave the world. Jake enlists a top-notch team of investigators, chosen from the NSA, Secret Service, and the army CID. They are about to go on the wildest ride of their lives, where not only their survival, but the future of the world, hangs in the balance. 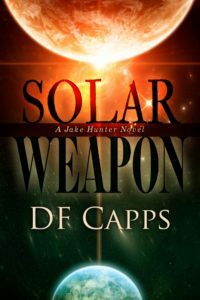 Solar Weapon is a hard science fiction technothriller featuring advanced technology, the military, and a conspiracy so vast it threatens all life on Earth. Born out of the Nazi SS of World War II, a breakaway civilization with futuristic science, uses the sun as a weapon of mass destruction. They initiate a level of planetary terrorism worthy of the apocalypse on an unsuspecting world. In a story of international mystery and crime on an unimaginable scale, Jake and his team struggle to comprehend and stop a disaster of epic proportions.